16+ Beautiful acres ready for the equestrian enthusiast in Turning Hawk. 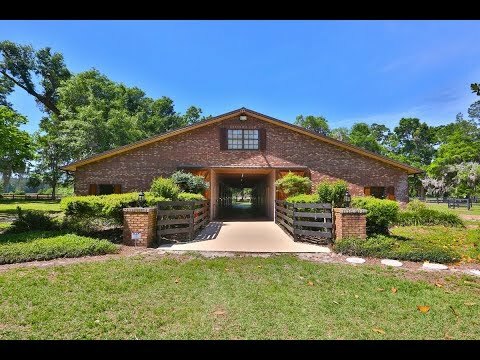 This property is ready for horses with an 11 stall concrete center aisle barn. The barn in enhanced with feed and tack room plus day quarters including kitchen and bath. Beautiful mature Oaks grace this property. There are great spots to build your dream home. Equestrian amenities include: 2 large paddocks, round pen, 180 X 100 oval riding arena, and a 4 horse hot walker. Conveniently located close to Florida Greenways & Trails.